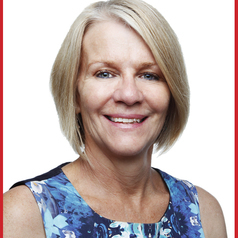 Helen Adam is an academic lecturer and researcher at Edith Cowan University. She has lectured and written on the subject of children’s literature for the past thirteen years. Helen’s writing and research addresses the role and importance of quality literature in the social and emotional well-being of the child. Helen authored the chapter Children’s Literature in both the first and second editions of Language, Literacy and early childhood education (Fellowes & Oakley, 2e 2014) and has published research in The Australian Educational Researcher, The Australasian Journal of Early Childhood, and for the Primary English Teacher's Association Of Australia and the Australian Literacy Educators Association of Australia. Helen’s lecturing and writing highlight the potential and importance of quality literature in developing critical and creative thinking, ethical understandings, personal and social capabilities and intercultural understandings – all of which are highlighted in the Australian Curriculum and The Early Years Learning Framework and are important to all children. She is currently completing her Doctor of Philosophy studies on the topic: Investigating the use of children’s literature to support principles of diversity in long day care centres. Helen has previously served as a judge for the Children's Book Council of Australia Eve Pownall Award for Information Texts and is a reviewing editor for the Australian Journal of Teacher Education.